Sometimes unexpected things happen. In this case, please, open an Issue and make sure to include the version of Hydrogen and Atom you are running. You can get this information by running atom --version from the command line. 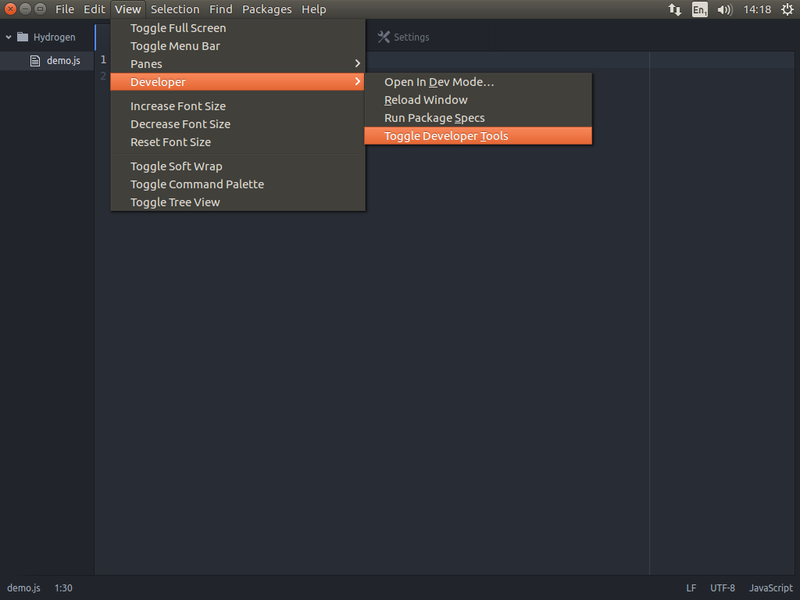 Use your distribution&apos;s package manager to install. If your default python is 3.x, you need to run instead PYTHON=python2.7 apm install hydrogen or change the default version for apm with apm config set python $(which python2.7) beforehand. You can still use 3.x versions of Python in Hydrogen, but it will only build with 2.x due to a longstanding issue with gyp. 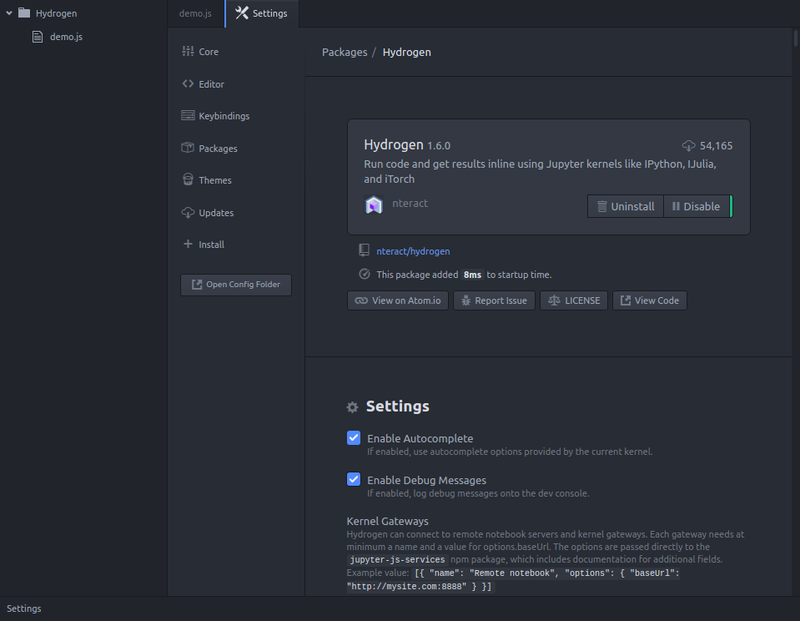 Hydrogen requires a Kernel to run code. Checkout nteract.io/kernels for instructions on how to install the most popular kernels. 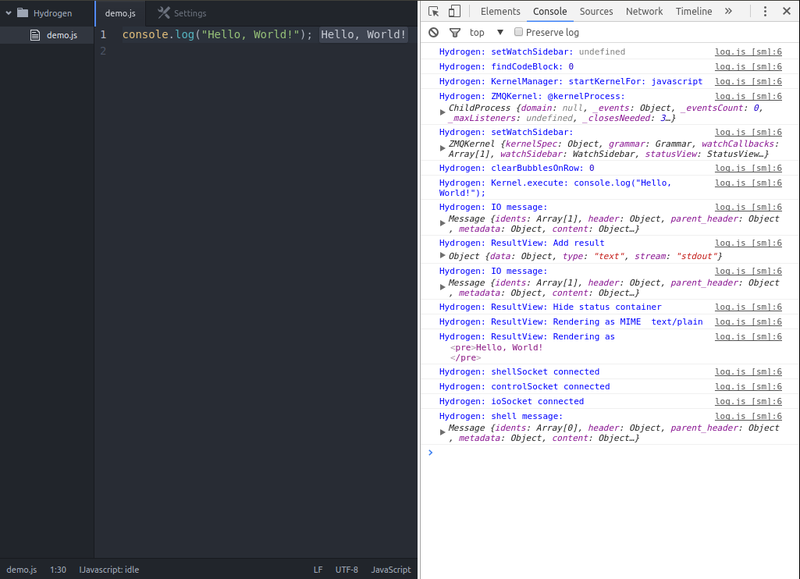 Atom won&apos;t pick up kernels inside a virtualenv unless Atom is launched as atom . within the virtualenv. The alternative is to create a kernel specifically for a virtualenv. Hydrogen doesn&apos;t show my results. If Hydrogen doesn&apos;t output any results for Atom version < 1.13 (see issue #326), check that you haven&apos;t disabled Use Shadow DOM under Settings > Editor. This option should be enabled. If the spinner in the result bubble never stops (see issue #53): This is issue hasn&apos;t been seen recently. Please, post in issue #53 the details of your installation. If hydrogen works for standard libraries but you encounter ModuleNotFoundError: No module named &apos;your_package&apos; for custom installed packages, check that the path of the kernel you are using is the one specified in the windows PATH. Especially when using virtual environments like virtualenv and anaconda ensure that the corresponding python executables are set in the windows path. To add the path, enter where python in the windows command line and chose the apporiate entry. Then, add it manually to the windows PATH, similarly as detailed below for the standard python path. 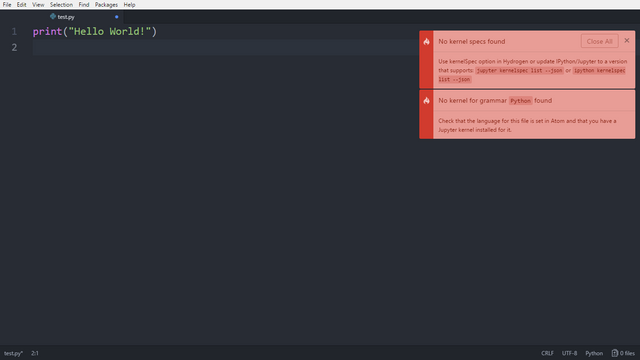 On Windows if Python is not added to your environment variables, Hydrogen won&apos;t be able to locate your Python installations (No kernel specs found). 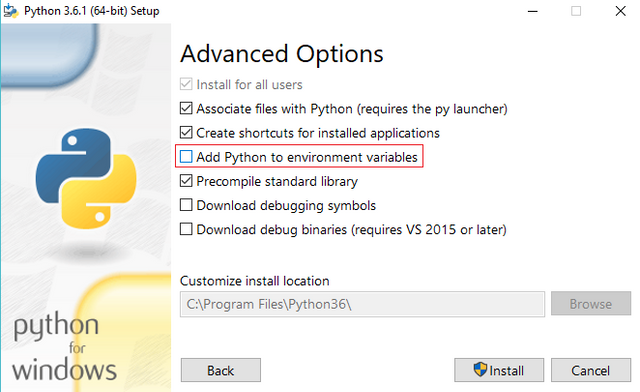 While installing Python check Add Python to environment variables. It will do the rest of work for you! Click on OK to finish, now your problem is fixed!